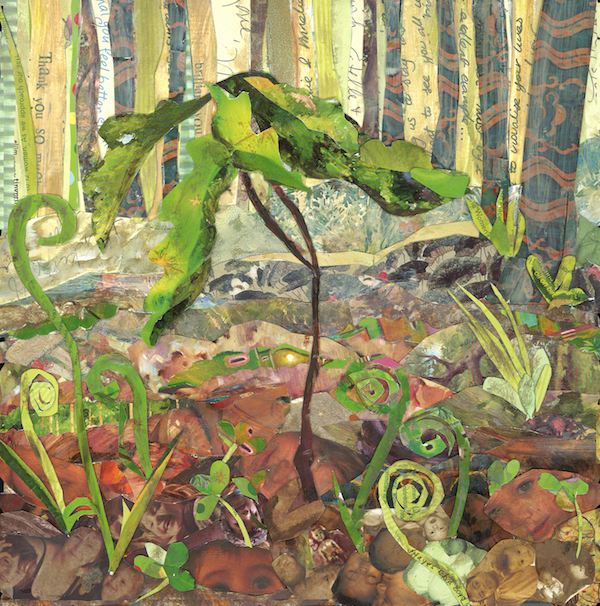 Attleboro Arts Museum is holding its annual nature-themed exhibit and flower show, Enchanted Forest, including two pieces of Janice Hayes-Cha art. The show runs March 20-24, 2019 with an opening reception Wednesday, March 20. I was happy to submit a piece called Oak Sapling to this show. This collage was created as a commission for the birthing center at Einstein Medical Center in Philadelphia, as part of a larger installation called Beginnings. It includes many photos of children from holiday cards, as well family baby photos, including one of my husband and his mother, and all 4 of our kids. I loved the idea of the oak tree emerging from the acorn in the ground, reaching for the sun, like all the kids and babies in the collage. When I finished this piece, it was so meaningful that I couldn’t bear to part with it, so a different work went to Einstein. 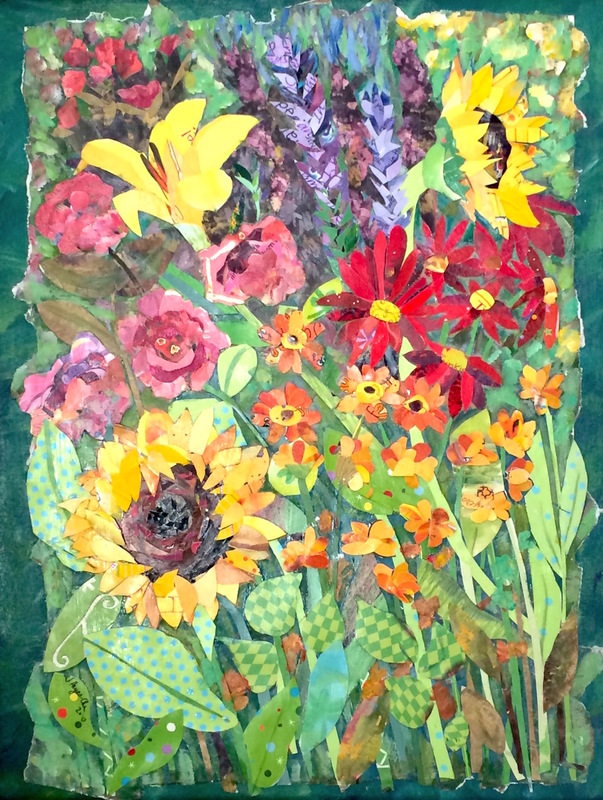 My other work in the show is Flower Garden, an explosion of color and texture and so appropriate for the exhibit. For more information on this show, see the Attleboro Arts Museum’s website.